This review starts from the beginning. The Model 3 reservation story is familiar to many, but it’s worth revisiting since so much has changed in the past year. Tesla still faces formidable challenges, yet they have delivered. The Model 3 is an amazing machine. 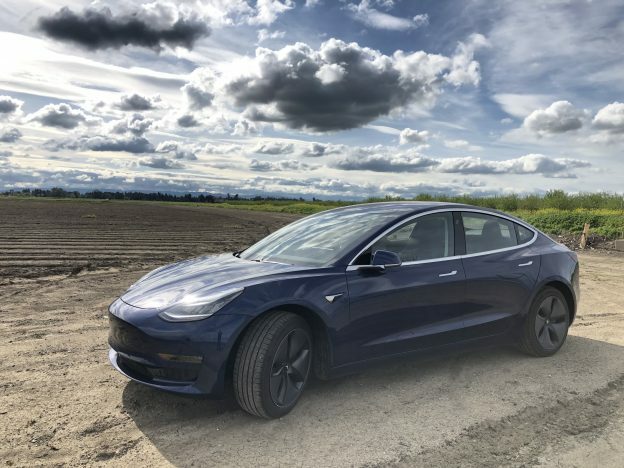 This entry was posted in Personal Posts and tagged efficiency, electric cars, energy use, EV, Model 3, one year review, review, Tesla, Tesla Model 3 on April 23, 2019 by Steve Noctor. The 2012-2014 Toyota Rav4 EV range estimate (shown below on the left) gives you a rough idea of how far you can drive. 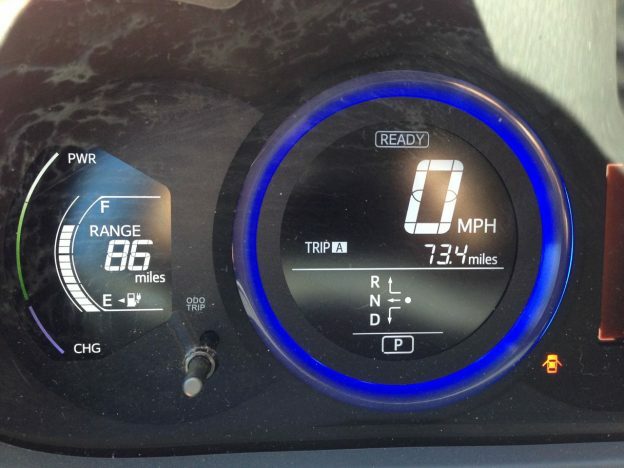 This entry was posted in Personal Posts and tagged GOM, Guess-O-Meter, Range estimate, Toyota Rav4 EV on April 12, 2019 by Steve Noctor. 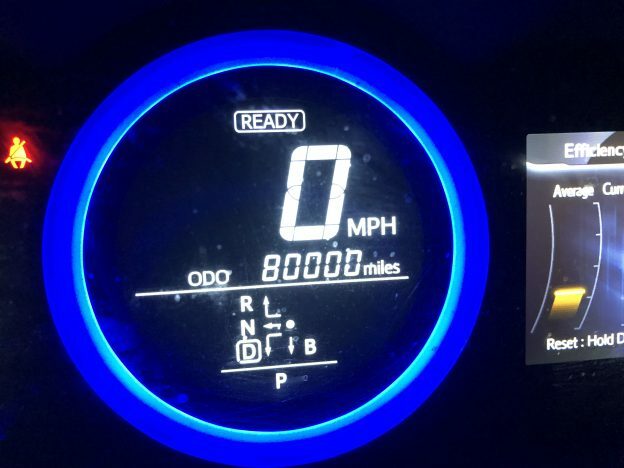 Today we crossed 80,000 miles (~128,000 km) in our 2012 Rav4 EV. We purchased this car new almost 6 years ago and it’s still working great. Our motor drive became slightly noisy 2 years ago and Toyota replaced it under warranty at 58,000 miles. It’s been smooth and quiet since then. Otherwise this car has worked perfectly. 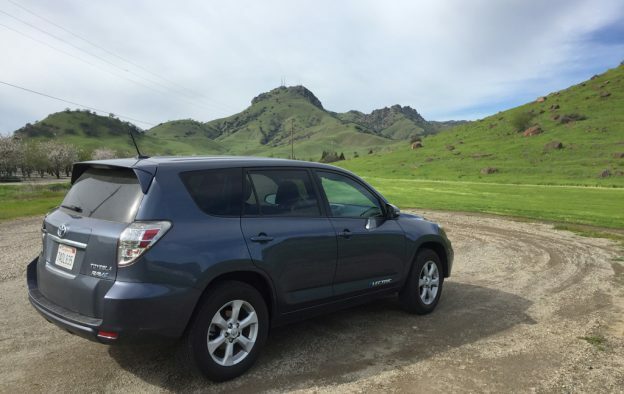 This entry was posted in Personal Posts and tagged 2012, Electric car, EV, mileage, Rav4 EV, Toyota on April 3, 2019 by Steve Noctor. We picked up our long range RWD Model 3 a year ago in April 2018 and enjoy this car tremendously. It’s great for daily driving and Tesla’s Supercharger network allows us to go pretty much anywhere we want. The fit and finish of our car was excellent and we have not had any problems with our car. The Model 3 is simply a great car that keeps getting better with frequent over-the-air software updates. 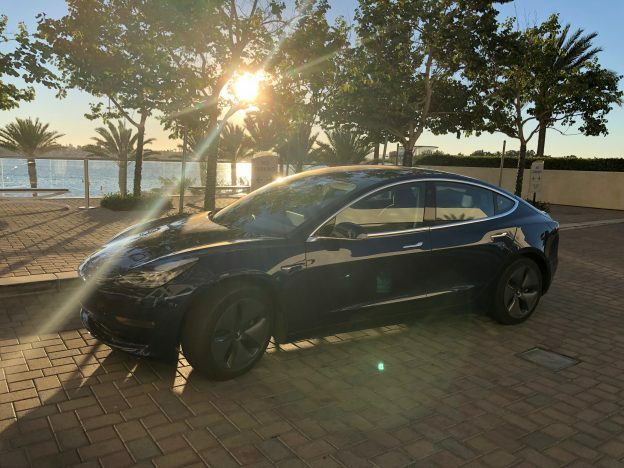 This entry was posted in Personal Posts and tagged Autopilot, Model 3, Service, Service Center, Software Update, Tesla, Warranty on April 3, 2019 by Steve Noctor. 4) a few opinions on driving electric. This entry was posted in Personal Posts and tagged charging, Electric, electric cars, electric vehicles, emissions, EV, Rav4 EV, solar, Toyota on January 25, 2019 by Steve Noctor. 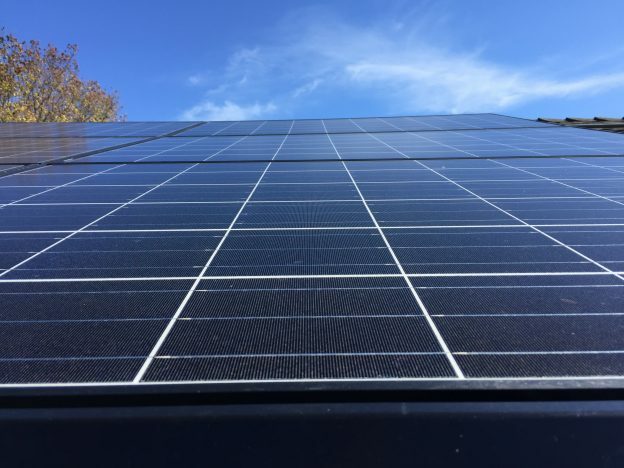 When we bought our home over a decade ago we set goals for ourselves: To make the electricity we use; and to drive electric cars powered by our solar power system. We’re not there yet, but we’ve made progress. 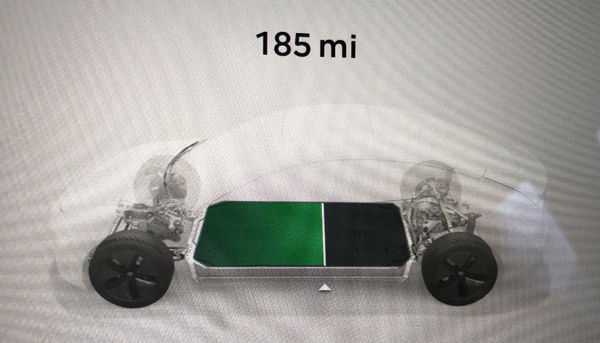 This entry was posted in Personal Posts and tagged clean energy, domestic energy, Electric car, EV, home energy, Model 3, PV, Rav4 EV, solar energy, Solar system, Tesla on January 23, 2019 by Steve Noctor. I drive my Model 3 about 50 miles (80 km) a day during the week, and a bit less on weekends. I charge my car every night in the garage. At the end of each day I pull into the garage, plug in, and don’t have to think about it again. 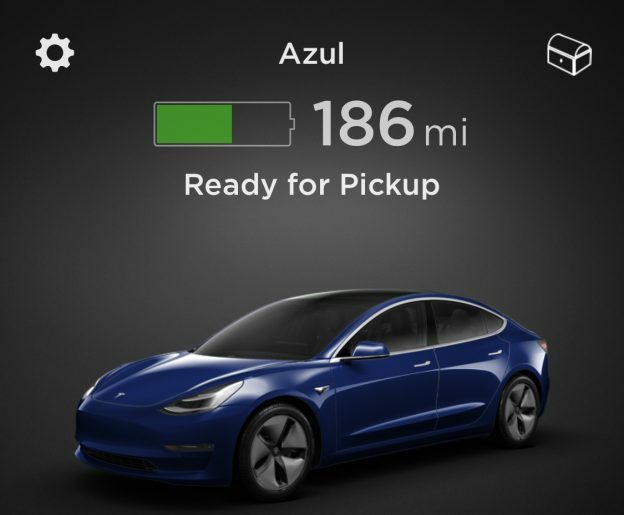 This entry was posted in Personal Posts and tagged charging, Daily Charging, Electric car, EV, Model 3, SOC, State of Charge, Tesla on January 10, 2019 by Steve Noctor. and those wondering how an EV will fit into their lives. This post was written when we'd had our Model 3 for seven months and the odometer was at 11,000 miles. 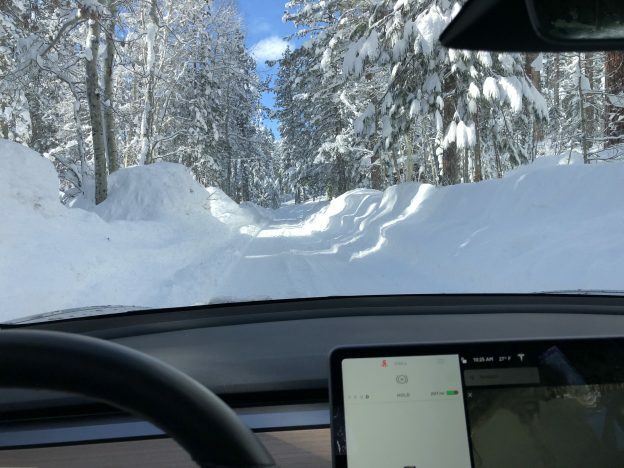 This entry was posted in Personal Posts and tagged california, carbon, Efficient, electric cars, electric vehicle, emissions, energy use, EV, Giant Sequoia, Kings Canyon National Park, Model 3, Road trip, Society for Neuroscience, Supercharger, Tesla on November 19, 2018 by Steve Noctor. May 2018, California's Central Valley. 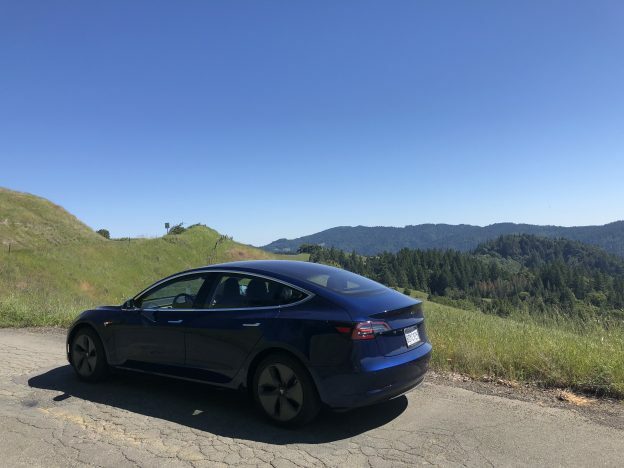 This entry was posted in Personal Posts and tagged Day trip, electric cars, electric vehicle, EV, Model 3, Montgomery Woods, Redwood trees, Tesla on August 12, 2018 by Steve Noctor.